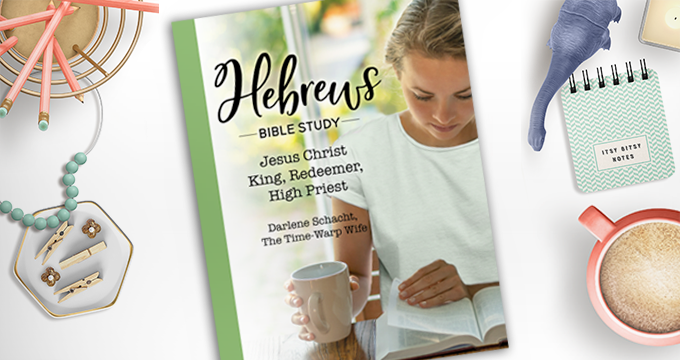 This is a 4-week Bible study on the book of Hebrews. Each week we’ll focus on three chapters, but during the last week, we’ll focus on four. Every Monday I’ll give you a list of questions that are designed to get you thinking and digging. I’ll also provide some tidbits of information that I’ve gleaned while studying this book. You’ll find these in the “Did you know…” sections. In addition to this, I’ll list a challenge each week, and a memory verse. 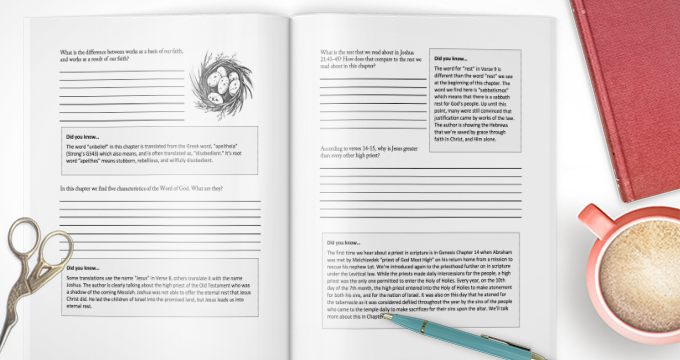 Some readers have asked if there is a printable study guide available. Unfortunately, there isn’t for this one. There is a study guide available at Amazon.com (Click here). For those who prefer a free version, I will provide the questions for the study each Monday during the four weeks of the study. 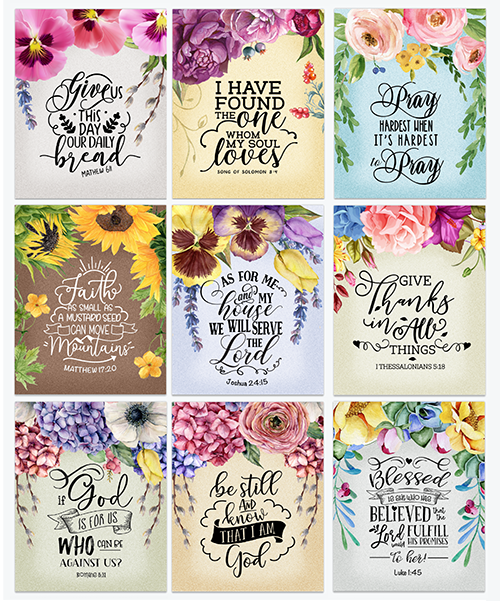 Last but not least, I’ve been working on a collection of printable scripture/encouragement cards. These beautiful cards can be printed off and used in a number of ways–use them as note cards, include one with a gift, display them on your fridge, or frame them for a little touch of decor. I’ll be offering you four/week for the next four weeks making sixteen in total. Scroll down the page to find all of these resources. Subscribe so you don’t miss a post. If you haven’t done so already, you can purchase a copy of the study guide at Amazon. Click here. If you don’t want to purchase a study guide, you don’t have to. Everything you need for the study is provided for you in the links above. Other commentaries you might preferInterlinear Bible – I love this one! What is the promise we read about in Verse 1? 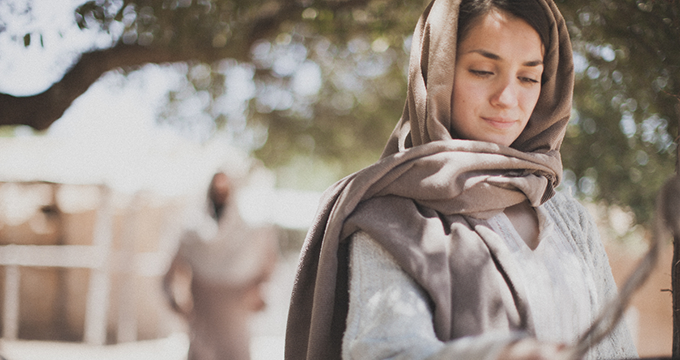 What is the difference between knowing who Jesus is and having faith in Jesus? God’s rest isn’t merely one thing. It’s not simply a ticket to Heaven. It’s peace on Earth, a rest from the works of the law, and confidence that we will be with Him in Heaven. What is the difference between works as a basis of our faith, and works as a result of our faith? The word “unbelief” in this chapter is translated from the Greek word, “apeitheia” (Strong’s G543) which also means, and is often translated as, “disobedient.” It’s root word “apeithes” means stubborn, rebellious, and willfully disobedient. In this chapter we find five characteristics of the Word of God. What are they? Some translations use the name “Jesus” in Verse 8, others translate it with the name Joshua. The author is clearly talking about the high priest of the Old Testament who was a shadow of the coming Messiah. Joshua was not able to offer the eternal rest that Jesus Christ did. He led the children of Israel into the promised land, but Jesus leads us into eternal rest. What is the rest that we read about in Joshua 21:43-45? How does that compare to the rest we read about in this chapter? The word for “rest” in Verse 9 is different than the word “rest” we see at the beginning of this chapter. The word we find here is “sabbatismos” which means that there is a sabbath rest for God’s people. Up until this point, many were still convinced that justification came by works of the law. The author is showing the Hebrews that we’re saved by grace through faith in Christ, and Him alone. 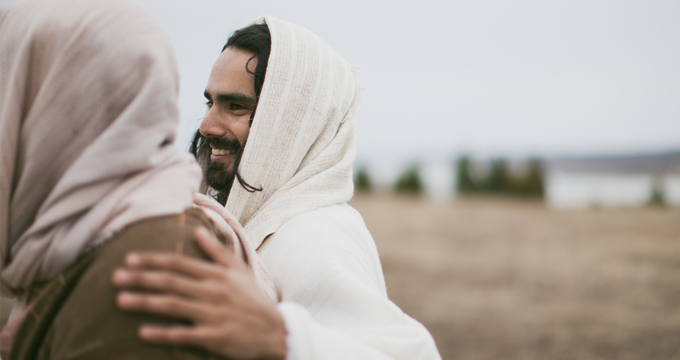 According to verses 14-15, why is Jesus greater than every other high priest? The first time we hear about a priest in scripture is in Genesis Chapter 14 when Abraham was met by Melchizedek “priest of God Most High” on his return home from a mission to rescue his nephew Lot. We’re introduced again to the priesthood further on in scripture under the Levitical law. While the priests made daily intercessions for the people, a high priest was the only one permitted to enter the Holy of Holies. Every year, on the 10th day of the 7th month, the high priest entered into the Holy of Holies to make atonement for both his sins, and for the nation of Israel. It was also on this day that he atoned for the tabernacle as it was considered defiled throughout the year by the sins of the people who came to the temple daily to make sacrifices for their sins upon the altar. We’ll talk more about this in Chapters 5 & 7. Hundreds of years earlier, we’re introduced to Melchizedek in Genesis Chapter 14. Who appointed him as high priest? And who appointed Jesus as our High Priest? In Verse 10, what designation was given to Jesus? Why was it hard for some readers to understand what the author was saying to the Hebrews? Read Leviticus Chapter 16 to gain a deeper understanding of the duties of the high priest. Again, the Greek word “teleioo” (Strong’s G5048) appears in this chapter, when in Verse 9 the author says that Christ was made “perfect.” What does this word mean? There are approximately 613 commandments in the first five books of the Bible. By that measure, it would be impossible for anyone to attain righteousness on their strength alone. To whom does the author say that Jesus is the source of salvation? The word “obey” in this chapter comes from the Greek word “hypakouo” (Strong’s G5219) which refers to the duties of a porter who listens for a knock and answers the door. In Revelation 3:20 we read, “Behold, I stand at the door, and knock: if any man hear my voice, and open the door, I will come in to him, and will sup with him, and he with me.” (KJV) And so, we see that obedience calls us to both listen and to act. 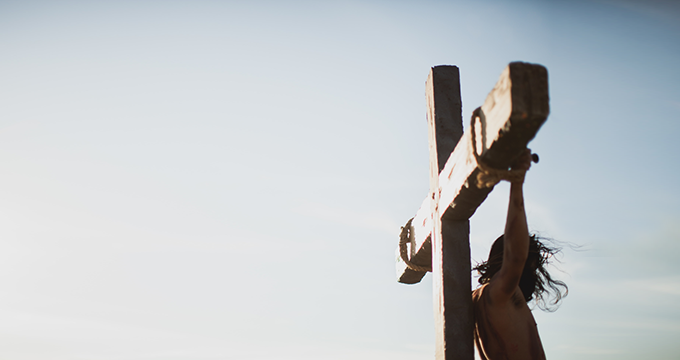 How did Christ’s suffering prepare Him for the office of the High Priest? How does the author describe mature believers in the last verse? Isaiah Chapter 53 describes the sacrifice and suffering of Christ in detail, and yet it was written approximately 700 years before the birth of Christ. What are the basic principles of the gospel that the author mentions at the beginning of this chapter? What agricultural comparison does the author make to salvation? What parable might this remind you of? The thoughts in Chapter 6 are a continuation of Chapter 5, in which the author wrote, “But solid food is for the mature, who by constant use have trained themselves to distinguish good from evil.” The point the author is making in this chapter is that we need to be diligent and steadfast in our faith. Who are the readers instructed to imitate? In understanding this chapter, it’s important that we rightly divide scripture taking God’s Word in context with the rest of the Bible. You cannot look at Hebrews 6:4-6 apart from its context, it grammatical historical setting, or the unity of what the entire scripture teaches. You can’t divorce all of the other principles from the meaning of the text. Here we read that it’s impossible for those who have tasted the Word of God and have fallen away to be brought back to repentance. And yet we see that in Luke 22, Peter denied Jesus not once but three times. In Luke 15 we read the parable of the prodigal son who left his father’s home, squandered his wealth, and ate table scraps with the pigs. In both of these cases, the men repented and were restored. This scripture does not teach that if somebody backslides, or blows it, that he can never come back to the Lord. The warning is to the Hebrews who had left the temple sacrifices, who had come into a relationship with Jesus, and who were now turning away. The writer is talking about those that had finally apostatized and permanently turned away. If you were to permanently turn away from faith in Jesus Christ and went back to trusting in the Jewish sacrifice for the covering of your sin, and the rituals; and if you should die in that state, those sacrifices and the blood covering could never atone for your sins. We must take these words as a stern warning that turning away from God is a dangerous choice. Any time we step out of God’s will, we put our soul in danger. 1 Timothy 4:2 talks about a conscience that’s been seared with a hot iron, illustrating the dangers that come with ignoring our sin. One is the keeping power of God. That no one can pluck you out of God’s hand. When you are in Christ, you are secure. You don’t lose your salvation simply because you backslide. But the question would be, were you ever saved to begin with? Beside the sovereignty of God, the other side is the free will of Man. Man has volition, or the right to choose. He continues to make choices after salvation, and just because we surrender our lives to Christ, God does not remove the ability to choose. Both of those truths are woven together in the scripture. Why do we try to divide them? We do know that we are eternally secure as long as we abide in Christ and yet still know that we have a free will. Why did God confirm His promise to Abraham with an oath? What hope is the author talking about in Verse 19? The Holy of Holies was exactly 15 feet wide, 15 feet long, 15 feet high, and divided from the rest of the temple by a veil. The only person permitted to enter this holy place was the high priest once a year on the day of atonement. What significance does the tearing of the veil in Matthew 27:51 have in relation to this chapter? That’s all for today. I’ll see you on Friday for part two of week 2. Honor the sacrifice of our Lord, Jesus Christ, this Easter week, by being a sacrifice too. Make a conscious effort each day to give in some way for the good of another. What I mean by this is doing without something you want (time, money, esteem, comfort, etc.) in order to give to another. While the image below only shows nine cards, there are 16 in total. Each week (Mondays) during the study I’ll be giving you four of them. These little scripture cards are high resolution. Each one is 4 x 5 inches, making them ideal for encouraging note cards. Because they’re so pretty, I also like the idea of putting a couple of them on the refrigerator for daily encouragement. Darlene Schacht and her husband Michael live in Manitoba Canada where the summers are beautiful and the winters are cold. Together they’ve come to learn that relationships aren’t always easy, but that marriage, the way God intended it to be, is a treasure worth fighting for. 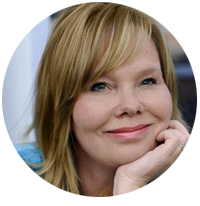 She began her publishing journey about twelve years ago when she pioneered one of the first online magazines for Christian women, known at the time as “Christian Women Online Magazine.” After three years, Darlene left CWO to blog as a solo author at Time-Warp Wife Ministries. It was also during this transition that she worked alongside actress Candace Cameron Bure to write the NYT Best-Selling book, Reshaping it All: Motivation for Spiritual and Physical Fitness. Reshaping it All was the winner of both the 2011 USA Best Book Awards and the 2012 Christian Reading Retailers Choice Awards. Author of more than 15 books, Darlene continues to write and to minister to her readers through her blog at TimeWarpWife.com.